The MPK mini mkII is an ultra-compact keyboard controller designed for the traveling musician and the desktop producer. With an array of hardware controls, MPK mini lets you record, compose, and perform with virtual instruments, effect plugins, and DAWs whenever inspiration strikes. This article walks through the basics of getting to know the MPK mini mkII Editor. Keep all other software closed while using the editor to ensure only the editor is using the port for your MPK Mini. This includes your DAW, other editors and even web browsers (yes, even Google Chrome wants to use your MIDI keyboard). Connect the MPK mini mkII directly to a USB port on your computer. External USB hubs are a popular way to connect several devices to your computer at once, but they way that they merge and transfer data back and forth can affect the success of the editor and we recommend avoiding it if possible. Find the editor in your downloads folder, right-click and select "Extract All..." to unzip the folder before installing. If using a Mac, simply double-click on the zipped folder to unzip it. Click Next and accept the terms of the License Agreement when prompted. Continue to follow the prompts in each window and click Install when prompted. We do not recommend changing any install or folder locations during the process. 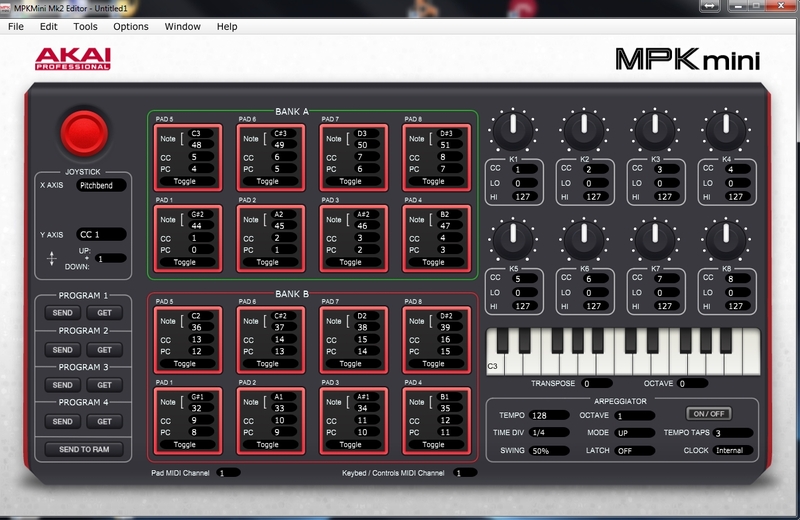 Leave Run MPK mini mkII Editor checked in the last window and the editor will open once you click Finish. CC or Control Change - This is a MIDI protocol that will send a range of values between 0 - 127. Each knob or fader can be assigned to a CC number which will then send a value of 0 at it's lowest point and a value of 127 at it's highest point and every value in between. 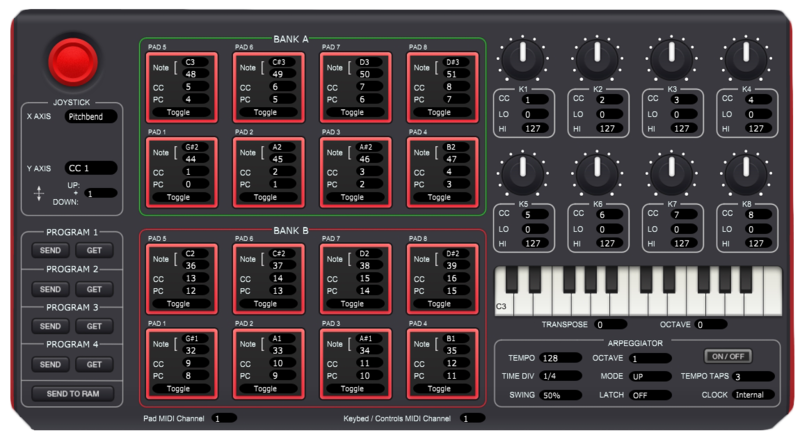 For example, the knob K1 is set to CC1 and when turned all the way up, the MPK mini mkII will send a value of 127 over CC1. Lo/Hi - This determines the value range of a CC message (as discussed above). Mostly used for encoders like the ones on the MPK mini mkII, this can be used to decide how much of a parameter is changed during the course of the knob's movement. PC or Program Change - Also known as a "patch change", these messages are commonly used to tell hardware or software to switch to a different preset. In some cases, the program change number will be affiliated with a particular type of patch/instrument (piano, organ, etc), but some manufacturers will list patches in any order they wish. Most virtual instrument companies will not follow this standard since their sound sets are unique. For a list of common program change patch assignments, see our guide here. MIDI Channel - MIDI data can be assigned to travel over 16 different channels per MIDI port. The MPK mini mkII has one port, the USB connection, meaning you have 16 different channels over which to send the data from the keyboard. In most cases, this will be used to send different MIDI parameters to different areas. For example, the most common use would be sending the pads on the MPK mini mkII to one instrument (i.e. drums) and the keys to another (i.e. piano). If you're interested doing something like this, see our guide on using multiple instances of MPC Essentials to see it in action. Toggle and Momentary - There are two ways a MIDI note can be sent: Toggle and Momentary. When using a keyboard, you will most likely be using momentary messaging for MIDI notes. This means an ON message is created when pressing a key, and an OFF message is created when releasing the key. Sometimes when using drum pads or buttons, a toggle style functionality may be desirable. When using a toggle setting, the OFF messages is not sent when the pad is released. Instead, the pad will alternate between sending ON and OFF messages when struck. TIP: Using a button or pad with a toggle function will help control a parameter that needs to stay on after releasing the button/pad. This can be beneficial if controlling something like a solo, mute, or effects ON/OFF switch. Clock or MIDI Clock - MIDI Clock is a specific message used to keep two devices in sync with each other, like a metronome. For example, when using an arpeggiator, you will want it to stay in time with the rest your song, and the best way to do that is with MIDI clock. In that scenario, MIDI clock would be sent from your DAW or other software (i.e. MPC Essentials) to your keyboard for the keyboard to follow along, perfectly in time. Clock can be assigned as Internal or External: Internal meaning that the keyboard generates it's own MIDI clock and will follow itself (used when sync with another device is not necessary), and External, used when the keyboard will be receiving clock from an external source. When set to external clock, the arpeggiator will not respond until it starts to receive a clock signal. With your changes applied in the editor window, select File > Save to save your changes. This will save a .mk2 file, which is unique to this editor. We recommend creating a folder to store all of your presets so that you have a backup for later. In order to open a preset later on, simply select File > Open and find your preset file. The preset will open into its own separate editor window. When you're ready to select Options > Device Setup from the menu at the top. 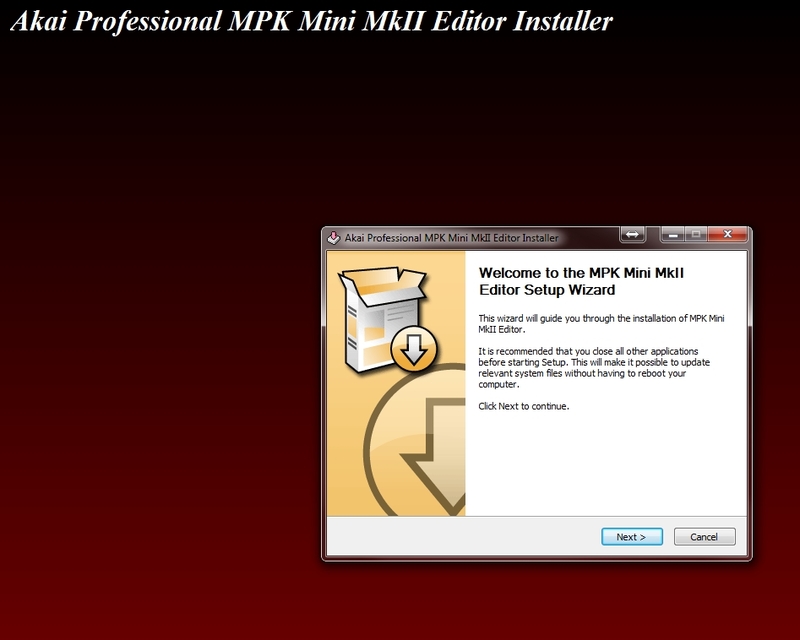 In the window that appears, select MPKmini2 from the Output area only, then press OK. It is not necessary to choose an input when sending presets to your MPK mini mkII. Choose a program slot to store your assignments by clicking SEND under the chosen Program on the bottom left of the editor. 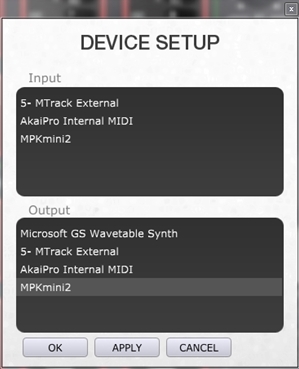 You can also choose SEND TO RAM for an instant upload to the MPK mini mkII, but the program will be lost as soon as the keyboard is turned off/disconnected. Finally, on the MPK mini mkII, press and hold the PROG SELECT button and press the pad corresponding to the program of your choice (PROG 1, PROG 2, PROG 3, or PROG 4). This will load the new program. 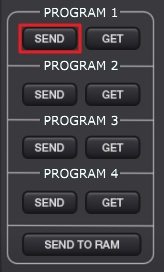 For example, if your assignments were sent to Program 1, use Pad 5 to select Program 1.